At Bladerunner Farms, we are strong believers in scientific data and research to support the benefits of our technologically advanced grasses. We work with recognized experts, some of the brightest minds in turfgrass research. If your project needs expert advice from a world-renown consultant, contact us today. David Doguet has over forty (40) years of experience in the turfgrass industry. He began his career as a manager for Milberger Turf Farms in Bay City, Texas in the late 60’s. He then started a new company, Quality Turf Grass in 1978 which grew to several thousand acres of St. Augustine and Bermudagrass production across Texas and worked with research on Zoysia and Buffalo grasses. He co-owned and operated that company until its sale in 1988. While at Quality Turf, David grew mostly commodity grasses (St. Augustine and Bermuda) just like everyone else in the area. As long as there was high demand, business was good and when demand lessened, prices fluctuated dramatically. David decided there had to be an alternative to just growing the same products as everyone else. He started visiting universities talking to turfgrass breeders and trying to come up with new grass varieties that would meet the needs of the future, particularly less maintenance. So, in 1988, Quality Turf was sold and in 1989, David and professional golfer Ben Crenshaw started a new grass farming venture, Crenshaw and Doguet Turfgrass in Austin, Texas. The operation began with 350 acres of turf, primarily buffalograss and expanded to over 1000 acres along with licensing rights to numerous grass varieties. David was president of Crenshaw and Doguet from its inception until the sale of the company to a group of investors in 1995. David has provided turf to some of the most prominent commercial, residential and golf related projects in the state of Texas. Today, David is an internationally recognized leader in the development of specialized grass varieties. After the sale of CDT, David began a new turf farming operation, Bladerunner Farms, Inc. in Poteet, Texas south of San Antonio. Bladerunner would focus its production and marketing to primarily zoysiagrasses along with some buffalograsses. David purchased a large collection of zoysiagrasses from the late Jack Murray, one of the world’s leading authorities on zoysiagrass. This collection is one of the biggest and best in the world and is the mainstay of the Bladerunner operation. David has continued to work with several university systems through different types of grants, along with participation in the National Turfgrass Evaluation Program to better understand the strengths and weaknesses of the grass varieties he has developed. Through Bladerunner, David has provided turf to some of the most prominent commercial, residential and golf related projects in the state of Texas. Today, David is an internationally recognized leader in the development of specialized grass varieties. 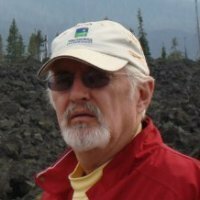 David is a two time past president of the Texas Sod Producers and has also been president of Turf Producers International. Dr. Milt Engelke is one of the world’s most respected Zoysiagrass experts. For more than 30 years, Dr. Engelke traveled the world to collect Zoysiagrass germplasm, and conducted research on this environmentally friendly species in order to help the turf industry better understand the benefits and capabilities of Zoysia. 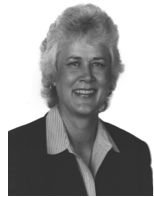 As a Professor and AgriLife Faculty Fellow at Texas A&M University for 32 years, Dr. Engelke published countless peer reviewed papers on turf, taught students and graduate students, patented turf varieties and presented workshops for the industry. Today, Dr. Engelke works with the Bladerunner Farms staff and clients on environmental issues related to salinity, excessive consumptive water use and state of the art approaches to energy efficiencies. He is a Practicing Geneticist and Agronomist targeting issues relative to sports fields and golf course management for the preservation of natural resources. 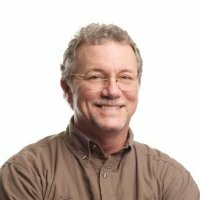 In his more than 30 years at University of Georgia, Dr. Earl Elsner was best known for developing procedures and guidelines for genetic purity inspections of turfgrass sod/sprig fields. 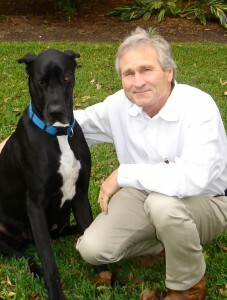 Dr. Elsner was instrumental in the movement in the turf industry toward Certified turfgrasses to ensure genetic purity. Dr. Elsner developed and published packaging procedures for turfgrass sprigs to prevent excessive heating. His work in this area helped to establish him as the expert in shipping turf internationally. Today, Dr. Elsner is a valued member of the Bladerunner Farms team and serves as a consultant to golf courses, athletic facilities, sod farms for genetic purity, production management and seed programs. 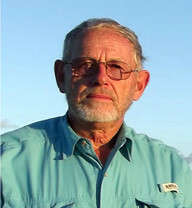 Don Roberts is a recognized expert in the field of international turfgrass selection and exporting. Roberts facilitates export services and provides on-site and remote agronomic and environmental support services to golf courses, sports fields, and sod farms established overseas. He manages international distribution and export for Bladerunner’s Zoysia and Buffalograsses. Roberts earned a Master of Science degree in Horticulture from Clemson University. 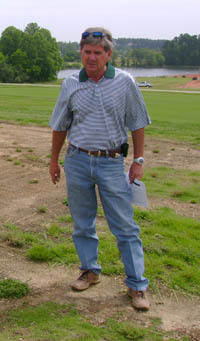 Dr. Lehman has worked in the cool-season turfgrass breeding world for over 30 years. She specializes in the development of cool season grasses for salinity tolerance, drought tolerance, and similarly challenging environments. Dr. Lehman routinely develops cool season grass specifications for planting or renovation of golf courses, sports turf fields, municipal settings, and home lawns that utilize tall fescues, perennial ryegrasses, Kentucky bluegrasses, fine fescues, alkalaigrasses, and the bentgrasses. Arthur J. Milberger grew up in the Texas turf industry under the direction of his father, F.J. Milberger, who originated commercial turfgrass farming in Texas. Milberger’s experience in the turfgrass industry covers every segment of the industry — from grassing hundreds of golf and sports projects across the U.S and abroad, to founding the largest merger consolidation of turf growers in the turf business. Milberger’s leadership in quality growing, marketing, and distribution of propriety turfgrasses to golf, sports, and commercial projects is unparalleled in the industry. Dedicated to the turf industry, Milberger has served as Past President of numerous organizations such as Turf Producers International, Texas Sod Producers, Texas Turfgrass Association, TifEagle Growers , Tifsport Growers, and Paspalum Growers Associations. Today Arthur consults on a variety of grassing projects with an emphasis on propriety grass introduction into golf and sports projects with the goal of minimizing inputs. Ken has been the Director of Golf Courses and Ground at the Atlanta Athletic Club since 1988. He has hosted several majors including the 2001 and 2011 PGA Championships. In addition, he has overseen the renovation and grass selections for both the Riverside and Highlands courses. Ken has been a pioneer in the use of the new Zoysia cultivars and has been working with Bladerunner Farms since the mid 90”s. The success of the grassing combination of Highlands course during the 2011 PGA changed the future of championship golf. This grassing combination proved to be firm, fast and pleasingly green to the viewers around the world. Ken is a highly sought after speaker and consultant on major championship preparation, turf selection and golf course renovation and management. He has had a long history with Valderrama Golf Club in Spain. Ken is currently working on grass selections with Gil Hanse, architect for the golf course for the 2016 Summer Olympics in Rio de Janeiro. He is also consulting for the new Trinity Forest Golf Course in Dallas, future home of the Byron Nelson Classic beginning in 2019. Ken was also the recipient of the 2013 USGA Fred Grainger Award and GCSAA Col. John Morley Distinguished Service Award. 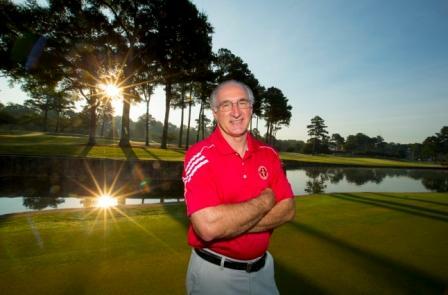 Ken has been a Certified Golf Course Superintendent (CGCS) for almost 30 years. Bladerunner Farms is the world’s largest privately owned zoysiagrass research facility.